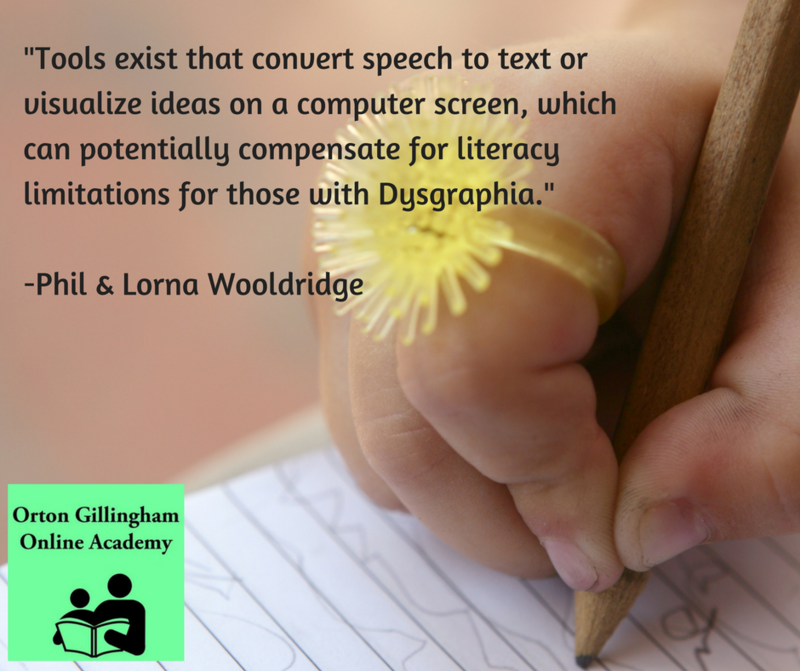 The Orton Gillingham Online Academy is always thrilled to have Phil and Lorna Wooldridge as our guest bloggers. This blog post is a continuation of their post submitted this last August on Handwriting Resources. Lorna is certified by the Dyslexia Training Institute, and is experienced in implementing the Orton-Gillingham approach to teaching. She has also completed the DTI Dyslexia Advocacy Certification Course and the Orton-Gillingham Online Academy Basic Language Course (Based on Orton-Gillingham Principles.) She is a Level 1 Certified Handwriting Specialist with Handwriting Without Tears and is listed as a tutor through Handwriting Without Tears and the Learning Ally Tutor Network. Lorna has a unique perspective on this condition as she is dyslexic herself. 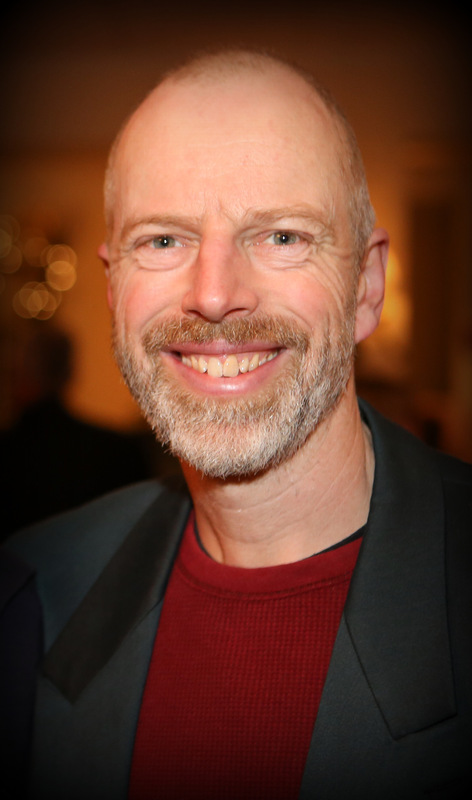 Phil has a Masters Degree in Engineering and brings twenty five years of experience as a consultant, team leader and homeschool science teacher. His tutoring for dyslexic students is based on the Orton-Gillingham approach. He also uses Structured Word Inquiry with his students to improve their spelling and comprehension. In 2016, he completed the Professional Executive Functioning (Seeing My Time) Training with Marydee Sklar. Phil is experienced in teaching handwriting and keyboarding skills based on the Handwriting Without Tears and Keyboarding without Tears curricula. In the blog we wrote for OGOA in August, we mentioned that Dyslexia is only one of the challenges facing many of the students that we meet in our Orton Gillingham based tutoring practice. Most form their letters in the classic non-standard ways: Bottom-up ‘l’s, balloon-on-a-stick ‘p’s, and clockwise ‘o’s. Some also exhibit the signs of Dysgraphia. That blog provided a number of ideas for supporting students with these difficulties, and you can read it by following this link. We are firm believers in developing the reading and writing skills needed for students to thrive. At the same time we also recognize that these same students can become frustrated with slow progress or may never be able to read or write as quickly and easily as peers who don’t have learning difficulties. Fortunately tools exist that convert speech to text or visualize ideas on a computer screen, which can potentially compensate for literacy limitations. Indeed, they are already used by many without learning differences. Like all tools though, it takes training and dedication to use them effectively. We hope what we say below will be useful, but please do your own research before clicking on the “buy it now” button. While we work on many things together, assistive technology is primarily Phil’s area of expertise, so the rest of this blog is written from his perspective. This is becoming a powerful tool, and we know a few people, primarily adults, who use it effectively. At it’s simplest, it can provide a quick lookup for spelling. If you have an iPad or iPhone, you may be familiar with asking Siri to “spell <predudis>” or any other word with which you are having trouble. You need to identify and correct words it incorrectly decodes, and also check homophones such as <there>, <they’re> and <their>. You have to speak normally but distinctly and can’t abbreviate or run words together as we do in ordinary conversations. It’s almost like performing in a play, where it is important that the audience can make out your every word. Fortunately Google Voice-Typing provides a way you can experiment for free, and while it is not as accurate (in my opinion) as DNS, it doesn’t require training and does pay attention to the context of what you are saying. So it does a better job of distinguishing <there> and <their> for example. To try that out, create a Google doc, and select Tools->Voice Typing. I have used both from time to time, and have taught students to use them, but most of our students also find it a challenge to order their thoughts sufficiently to fully utilize it. A good touch-typing program is just as good for some students. We have successfully used Keyboarding Without Tears with several students. The home versions of DNS are affordable enough to risk experimenting too. Note: You do need a reasonably up-to-date PC. If you have any questions, email me and I will do my best to answer them. I was inspired to investigate these techniques after attending a lecture by Visual Leap creator, Jesse Berg. For a sample, this is Jesse introducing his Summary Man concept which can be a great way to sort out book plots, or writing reviews of events. His lectures are great. The book of the same name might be a bit dry if you haven’t first experienced Jesse and his techniques. I have a copy signed by Jesse, so it is automatically cool. I have tried a number of the ideas he presents. They work for me, but Summary Man is the idea with which my students had the most success. Jesse recommends Inspiration 9, which I do like, and personally use for various planning and presentation tasks. There is also a 30 day free trial, for which you don’t need to provide a credit card number. That was what got me hooked. Inspiration 9 can be used with DNS, which can help with spelling and capitalization. There is a paid add-on that makes it more seamless, but they can be used together as-is. 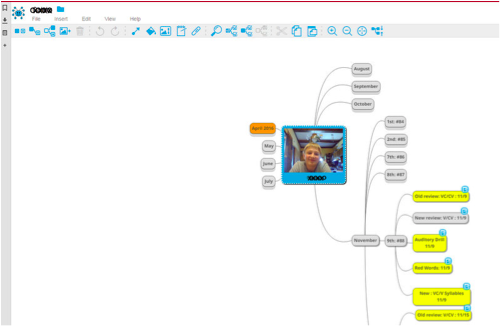 There is also a free mind-mapping add-on for the Google suite, called MindMup. I use this for organizing computer based Orton-Gillingham lessons with some students. The basic (free) version has limitations for printing and saving to a pdf file: It quickly says the file is too big and that I need to upgrade to the paid MindMup Gold. Limitations aside, I find it a handy tool. If you want to experiment, I recommend taking a look at some of the other videos Jesse Berg has produced. Again, if you have specific questions, email me and I will do my best to answer them. Thank-you, Phil and Lorna, for sharing your handwriting resources with us! As always, we appreciate you and love it when you share your knowledge and expertise with us. Phil and Lorna are happy to entertain any of your questions and you can visit them at Wise Owl Services.